9:30 Hrs. To 18:00 Hrs. Profile PHARMA WORLD EXPO 2011 will be 25th exhibitions, and is expected to witness record participation. The event, supported by CHEMTECH Foundation, will display state-of-the-art technologies, equipment, accessories and services from national and international players in each sector. The concurrent International Conferences will deleberate on issues of topical interest to practising professionals. 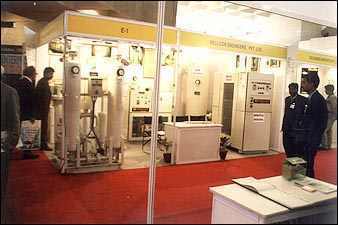 Petrotech 2010 Exhibition is organised by Oil and Natural Gas Corporation Limited (ONGC) under the aegis of the Ministry of Petroleum & Natural Gas, Government of India in association with ITE Group Plc. 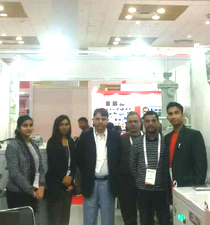 Indian Machine Tool Manufacturers' Association (IMTMA) has enabled Bangalore to cross another significant milestone in becoming a global engineering hub by setting up a world-class exhibition and conference facility in the city. 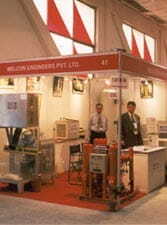 The exhibition facility in the complex is titled as the “Bangalore International Exhibition Centre (BIEC)”. A unique feature of this complex is that it will be the first “green project” of this magnitude in India, for which it would shortly be seeking certification from the US Green Business Council. IETF (International Engineering & Technology Fair), organised biennially since 1975, is the flagship event of the Confederation of Indian Industry (CII). The forthcoming fair - the 17th IETF 2007, is structured as a comprehensive B2B event, segmented into well-defined technological sections of the engineering & manufacturing industry. These sections are branded and represented by concurrent focused business fairs.